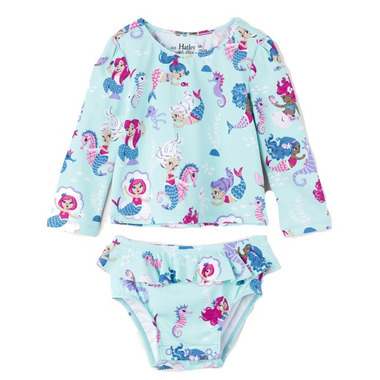 Splashing in the water never looked so cute with this baby rashguard set in a fun beachy print. It packs oodles of charm with its flouncy peplum overlay and puffy sleeves. But the best feature of all is its UPF 50+ rating!